What are the lessons from the police crackdown in Guangdong’s ‘democracy village’? Wukan has again become world news. It is almost five years since this village waged an epic struggle against corrupt land deals and despotic local rulers, which appeared to win rare concessions from the Chinese regime. 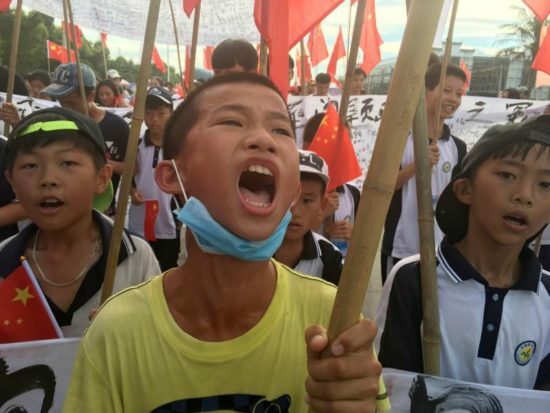 At the time of writing mass protests have resumed in Wukan, but it is too soon to say where this will lead. Still, crucial lessons can be learned from this and the previous round of struggle in Wukan – lessons that need to be discussed and drawn upon in building for successful mass struggle in China. The people of Wukan village in Guangdong have again taken to the streets to resist a crackdown that began on 17 June. 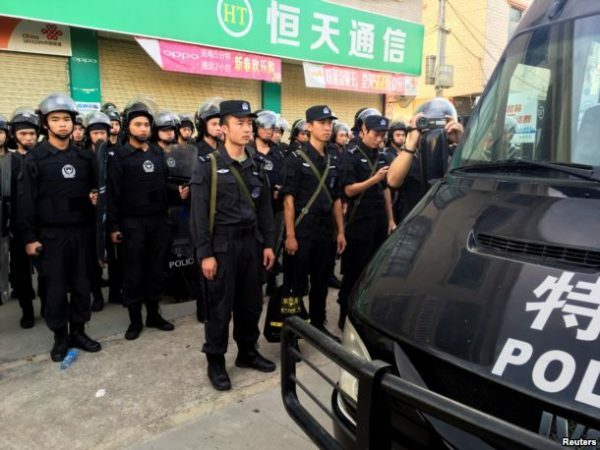 400 police dispatched by authorities in nearby Lufeng city staged a nighttime raid to arrest the village’s elected leader, 72-year-old Lin Zuluan. His 68-year-old wife, Yang Zhen, was pushed to the ground during the arrest. Lin faces charges of accepting bribes, which local people dismiss as lies. Why the strong police showing to arrest a “more than 70-year-old man?” asked a Weibo user. Villagers replied to Lin’s arrest with a demonstration of 3,000 people the following day. Further marches have occurred as the authorities intensify their crackdown, enforcing what amounts to a state of emergency in the village. Wukan is cordoned off from the outside world, while surveillance drones hover in the sky and police make further arrests of suspected ‘ring leaders’. Lin’s grandson, Lin Liyi was among those arrested. CCP officials have blamed outside media, including Hong Kong’s Apple Daily, for fomenting the protests. This echoes the ‘foreign interference’ mantra widely used in state propaganda to explain away ‘mass incidents’ rather than admit that protesters have legitimate grievances – against repression, legal frame-ups, illegal land seizures and collusion between government officials and property developers. Reports have surfaced that school pupils have been forced to sign papers declaring Lin Zuluan guilty of corruption. Schools have even extended opening hours to block students from going to demonstrate. By midweek all journalists were ordered out of Wukan “for their own safety” while two lawyers hired by Lin’s family were barred from representing or having contact with him. One of the lawyers, Yu Pinjian, complained of receiving threatening phone calls. Schools have stayed open to stop pupils joining the demonstrations. Two days after his arrest, Lin was paraded on television ‘confessing’ to taking bribes. Possibly he made the video in return for his grandson’s release. The tactic of ‘trial by CCTV’, which has been heavily used under Xi Jinping’s rule to incriminate regime critics including human rights lawyers and the kidnapped Hong Kong booksellers, is fast losing its impact as a propaganda weapon. “We don’t believe it one bit, what’s on television is all fake,” one Wukan resident told the Sydney Morning Herald. In the video film, Lin spoke slowly as if reading, and in Putonghua rather than the local dialect. More than a thousand villagers took to the streets again, after Lin’s ‘confession’, with banners proclaiming his innocence. Wukan is just one of many villages hit by illegal land grabs. An estimated 4 million farmers lose their land every year in China. Since the early 1990s, an area of farmland the size of Britain has been sold to property developers, turning a great many CCP officials into millionaires. Fighting to stop the crooked land deals, the people of Wukan famously ejected the corrupt local CCP officials in 2011 and practised a form of ‘self rule’ lasting several weeks, with an elected village council. The standoff ended with a deal signed in December 2011, when provincial CCP leaders intervened over the heads of the local officials and seemed to offer important concessions to the villagers. As a footnote to the 2011 agreement, Zhu Mingguo, the top official who negotiated the deal, has since been imprisoned for taking 140 million yuan in bribes. His former boss, provincial CCP chief Wang Yang, the man most identified with the Wukan settlement, has since been elevated to the Politburo in Beijing and a Vice Premiership. But Wang’s more liberal reform-oriented approach, rather than representing the direction of the CCP regime as a whole, is no longer visible on China’s political radar. Elections were allowed to take place in Wukan in March 2012 but they were not as ‘free’ as widely presented. There were widespread complaints of police intimidation and threats against key activists, to block more ‘radical’ elements from standing. The substantive issue – reclaiming the stolen land – remained unresolved and has now erupted in the latest round of protests. After the elections, through which Lin and other protest leaders took control of the village committee, the higher authorities pursued a twin strategy of persecution of the most radical layers of the Wukan movement, along with financial and administrative sabotage to deny Wukan’s elected leaders any possibility to resolve the land question. The aim of the regional CCP bureaucrats has been to protect their own interests (which may well include hiding their own gains from illicit land deals) and at the same time to discredit Wukan’s experiment with village ‘democracy’. The net result is that almost five years after the original protests, the demands of the original Wukan movement are no closer to fulfilment. “It’s like being given a check for two million yuan, but it bounces when you go to the bank,” is how one villager described the promises that were made in 2011 by Wang Yang and Co to demobilise the mass protests. It is ironic that Lin Zuluan, a retired CCP official, is now being persecuted so viciously by the regional CCP authorities for lending his support to protests against them. Since the 2011 agreement, Lin has been its most loyal defender, speaking out against further protests and urging ‘patience’. He has also stressed Wukan is unique and is not a model for other areas to copy. 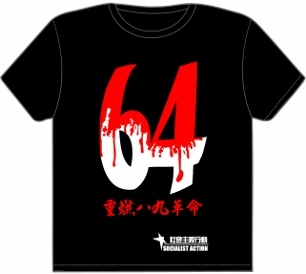 He was criticised by other sections of the Wukan movement who wanted to relaunch the mass struggle much earlier, leading to several splits within the original protest leadership. These splits have been exploited by the Lufeng CCP officialdom to bring Wukan to heel. It seems Lin’s patience finally ran out. Days before his arrest he issued a call on social media for a mass assembly to relaunch the protests. This, rather than bogus bribery accusations, is the real reason Lin has been arrested. There are rumours of a new corrupt property deal being done under the noses of Lin and the village leaders and perhaps this was the final straw for Lin and his supporters. Massive police presence in Wukan. There are no indications that the national leaders will come to Wukan’s rescue. Xi Jinping’s anti-corruption campaign was always more about populism and the internal power struggle than actually rooting out corruption – impossible under a system that mixes unchecked bureaucratic power with rampant capitalist speculation. One thing Xi does not want is to encourage the idea that organised mass action as in Wukan can force the regime to change its policies. Since Xi Jinping came to power he has steered national policy towards even greater repression. A feature of Xi’s rule is that even ‘moderate’ voices that work within the system, including NGO activists and lawyers, are being arrested and forced to confess to non-existent crimes. Lin Zuluan’s name has now been added to this list. This increased repression is a defensive reflex from a dictatorial regime that fears the approach of serious crises and mass unrest. The way forward for Wukan and other rural struggles is to build democratic mass organisations and to establish links between the different fighting communities (some just a few miles away) and links with the emerging workers’ movement. While in any struggle negotiations and temporary agreements or truces are unavoidable, the mistake made in 2011 was that Wukan agreed to dissolve its independent village council instead of maintaining and strengthening it as the real voice of the people. It was not wrong to participate in the elections organised under the agreement, provided the limited scope and ability of those elections to change anything was understood. 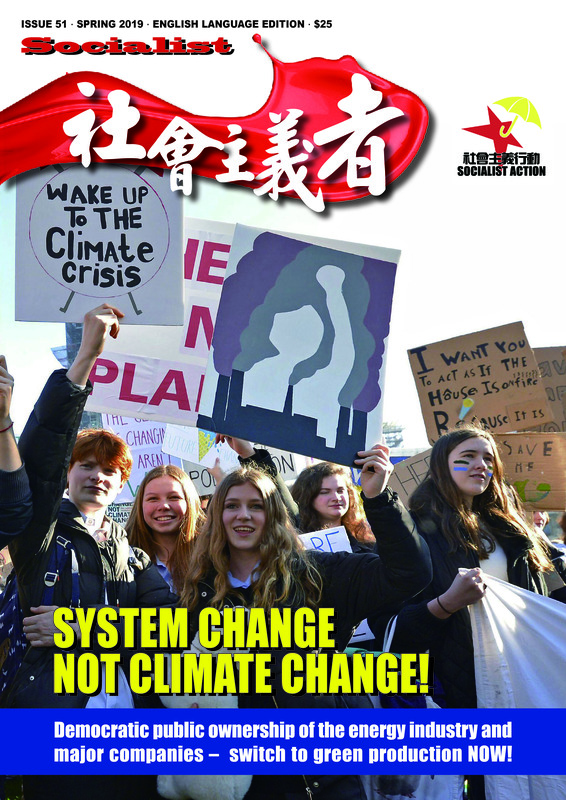 The building of democratic grassroots organisations completely independent of the CCP-state and continuing mass mobilisations is the only way to secure even small reforms. Winning elected posts in the official village committee could have acted as an additional ‘legal’ platform in this struggle. An understanding of the reactionary role of the CCP-state and its collusion with corrupt capitalist interests is also needed, as is the need to build an organised socialist political alternative. The crackdown in Wukan and the state’s attempt to strangle its ‘democratic experiment’ will open the eyes of more and more people to this reality.